Bees at home in their Beehives at Goodwood Oval. 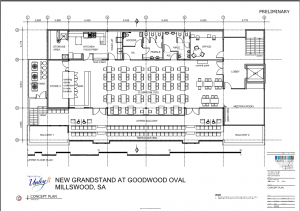 In the last month or two we have seen the emergence of two beehives at Goodwood Oval. 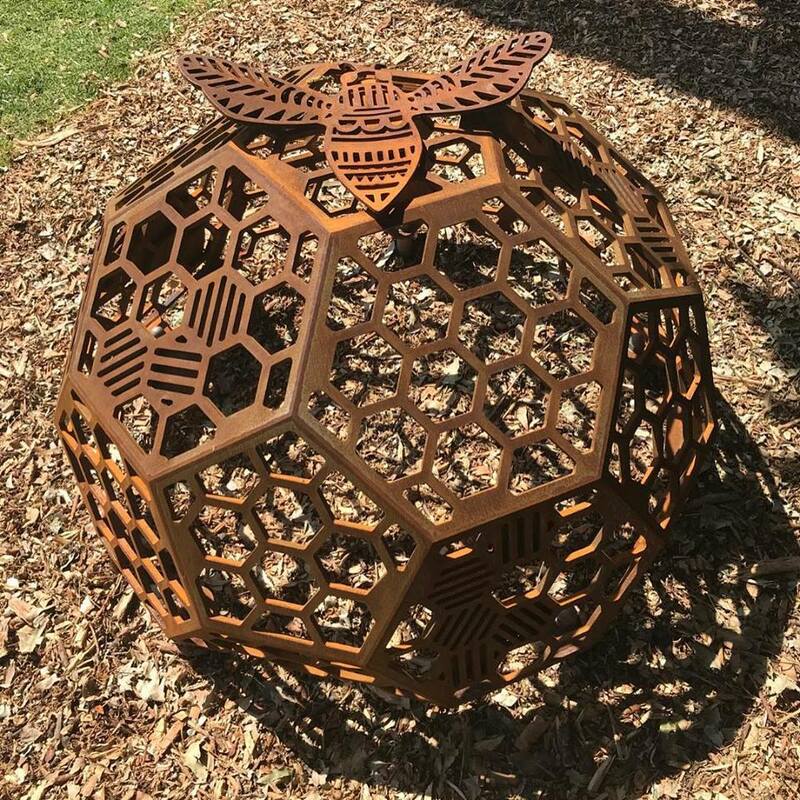 The bees have also arrived at their new Goodwood Oval home. 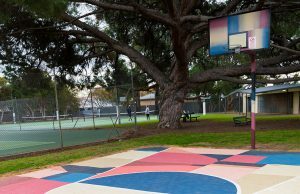 For those of you who have watched and wondered the third of our “Arts In Your Space” projects has been completed at Goodwood Oval. 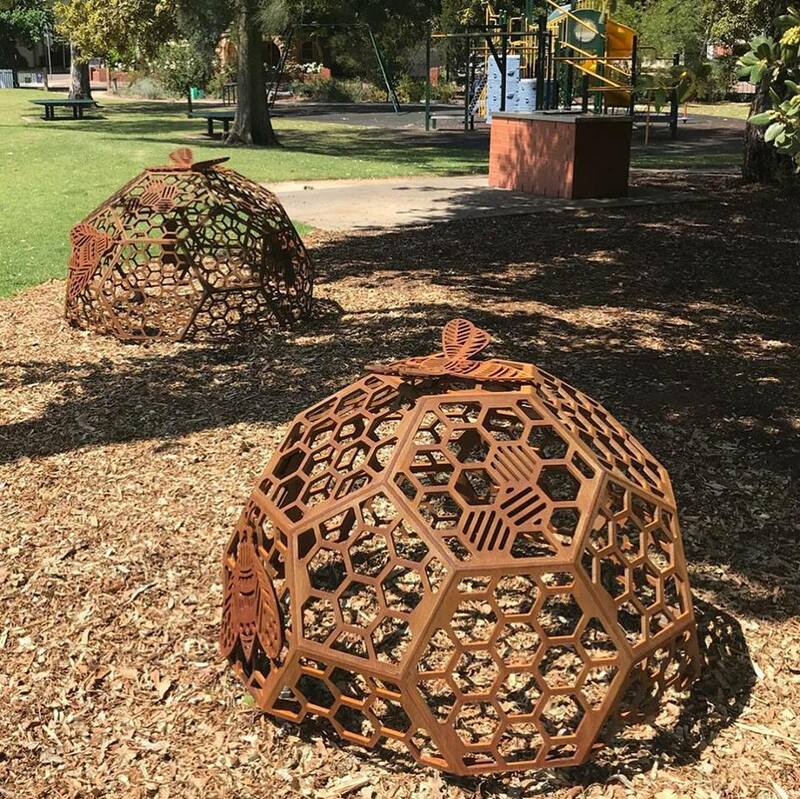 Arts In Your Space is the Year 4 initiative of our Public Arts Strategy. 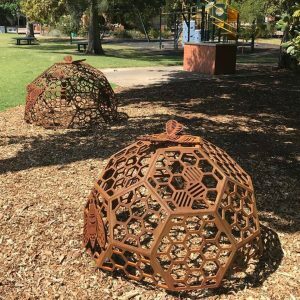 The project encourages artists to re-consider highly visible locations in Unley as cultural canvases. It is one of six in the strategy. 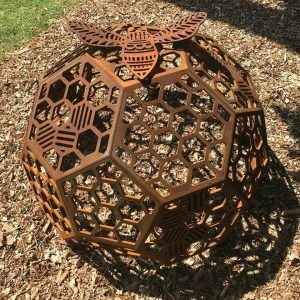 The Beehives of Goodwood Oval was the inspiration of artist Ellen Schlobohm with the fabrication assistance of Tony Rosella. I encourage you to check it out and take your children to the adjacent playground. When you do, please contemplate the role bees play in our environment. 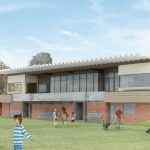 Clarence Park Ward is the proud recipient of two of the projects. The 1st was the painted basketball court at Page Park that I have previously reported on. If you have not been to Page Park for a while you might like to visit. Why not take a basketball and shoot some hoops. They are both projects that add some colour and spice to our neighbourhood, projects that show our uniqueness. 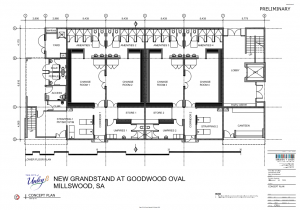 The Council is to submit a development application for a modified Goodwood Oval Grandstand. We will present it to Council’s Assessment Panel in November. 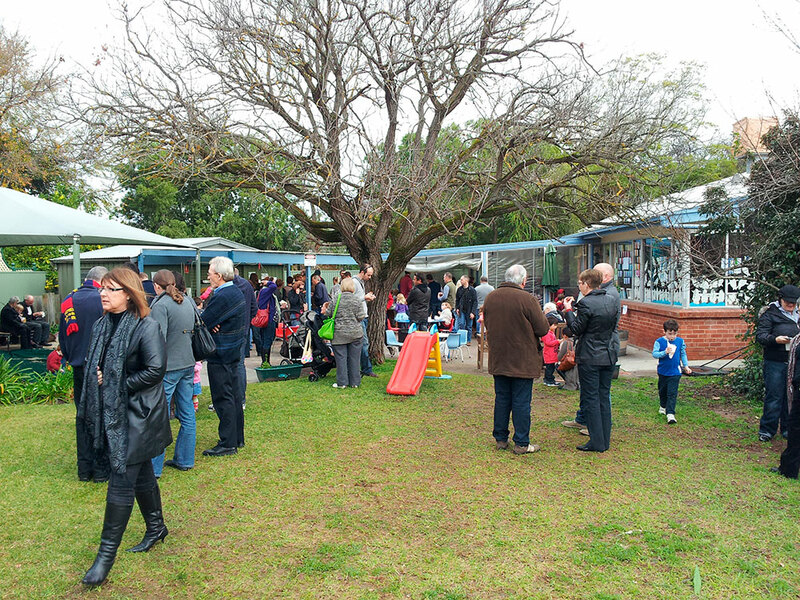 Council receives an information report on Monday to advise the current status of this project. As we are in caretaker mode we can only receive the report. The report confirms that a modified design is ready to be presented to Council’s Assessment Panel. The Panel of 5 (with but 1 elected member) is an independent panel, created under the Development Act. They are duty bound to determine if it be approved or refused, based on Planning principles. As it is a cat 3 public notification application they (the panel) will hear representations from the community. The design has been modified. It takes into account observations earlier this year from the community. 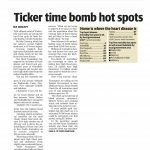 It also takes into account a need to reduce the scope of works to meet tight budgetary constraints. I would venture to suggest too, a more efficient design. There are two key features of the modifications as I read the drawings. They cover two of the major concerns raised by members of the community. 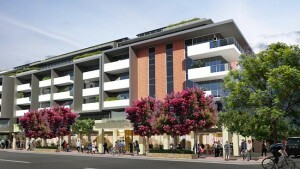 The first is the building footprint will again be not much different to the existing building. 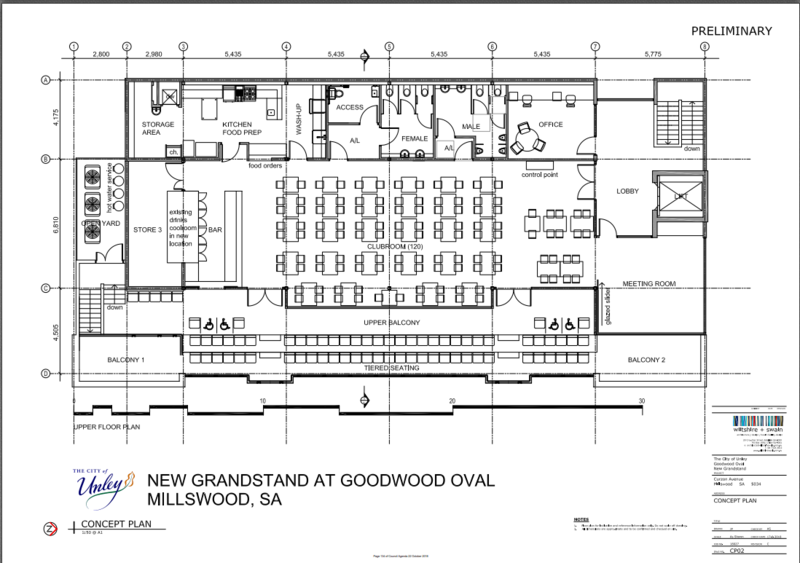 The second is the clubroom area is being reduced back to a seating capacity of (in theory) 120 people. This, down from the 200 last proposed. This is not much more than the seating capacity of the existing clubroom. 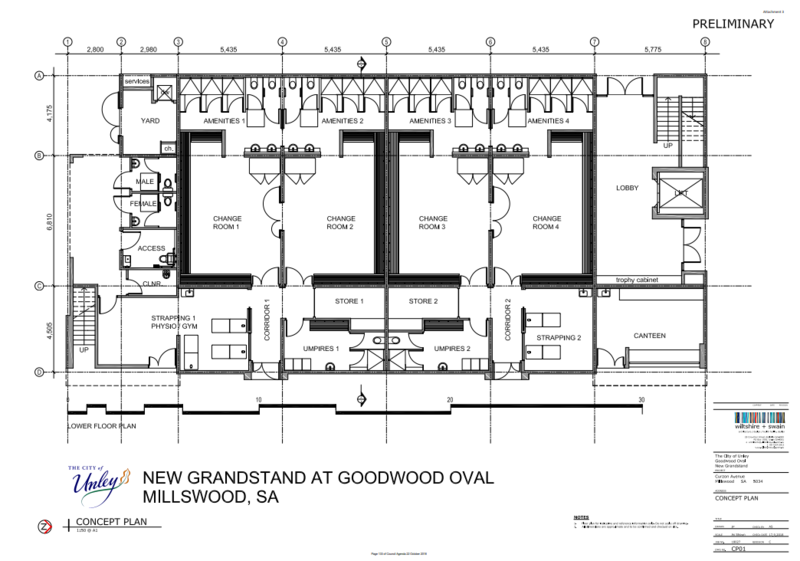 With all this, onsite construction of the modified Goodwood Oval grandstand (or other) is unlikely prior to the end of June, 2019. Providing Local Leadership: Giving Time and Passion. 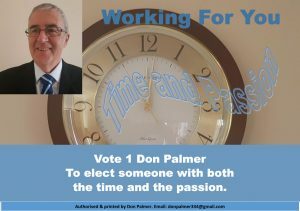 As a retired businessman I can offer you something that none of the other candidates can. That is an abundance of time and passion that comes with being free. 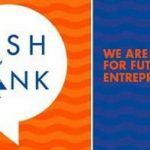 Free from the hassles of holding down a job. Free from having to commit to training for a future occupation. To provide local leadership and to work for you it is important that your representative is giving you time and passion. 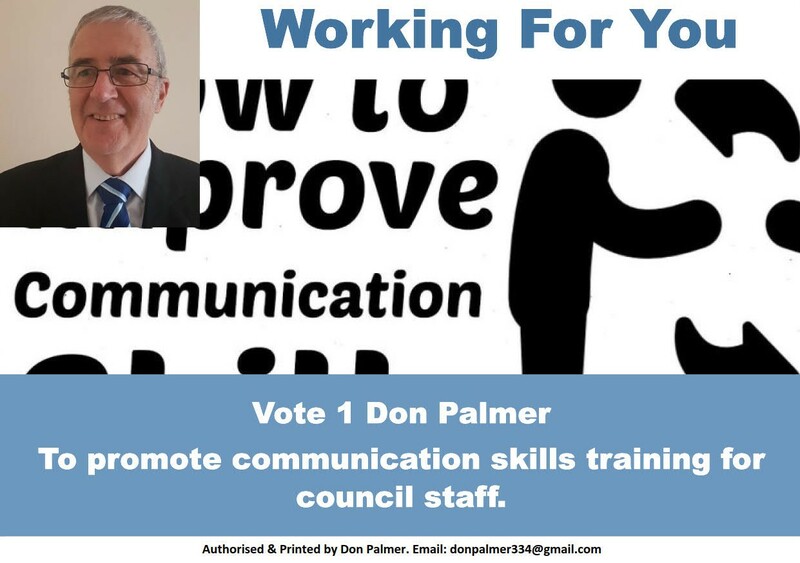 In my opinion you need to find 20 hours plus each week to be an effective elected member of council. Balancing family, work, social and play and the demands placed on you as an elected member can be most challenging. Anything less than 20 hours per week will mean you are not getting value from your representative. Why would an elected member need to devote that much time you may well ask? Isn’t it just one meeting a month? Working for you requires a commitment to the management role as a “board of management” contributor. The Local Government Act requires this of your representative. This entails attending at least one full council meeting each month, plus at least one briefing. Attending these and (more importantly) preparing properly for these meeting is time consuming. Then there are committees and we have many. Ideally they should be spread around. It tends not happen however. Some of us may be members of multiple committees while others may choose not to participate. I am one who contributes to multiple committees because I have the time and the passion where others don’t. Then there is the need to give time to the various community groups who appreciate your support. 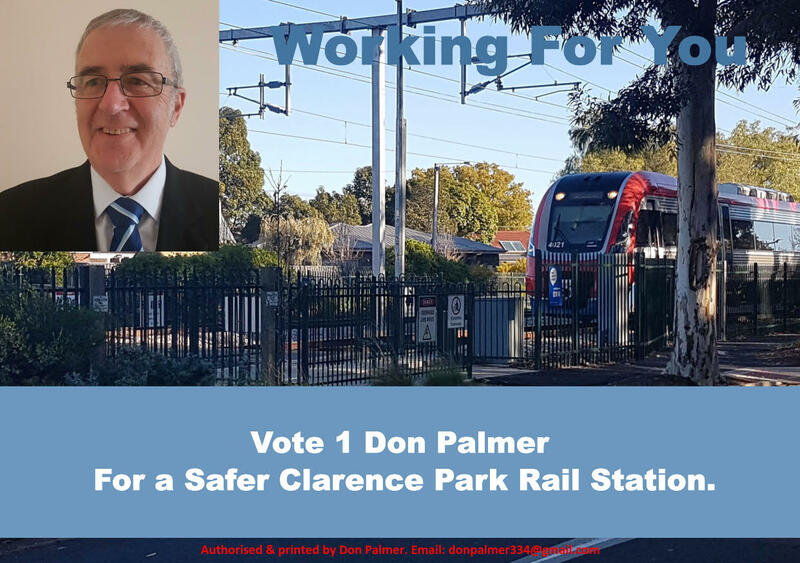 The local sporting clubs, the community centre, the neighbourhood watch group etc. The ultimate time commitment though, is the time devoted directly to you. The Local Government Act requires a person elected to council to represent the interests of residents and ratepayers, to provide community leadership and guidance, and to facilitate communication between the community and the council. Time is something I have previously and still can offer you (more so), and wish to. In abundance. May I ask, can the other candidates? 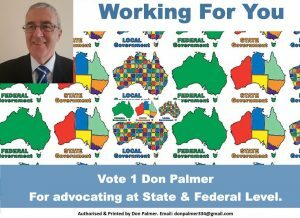 Providing Local Leadership: Working for better local government (LGA). 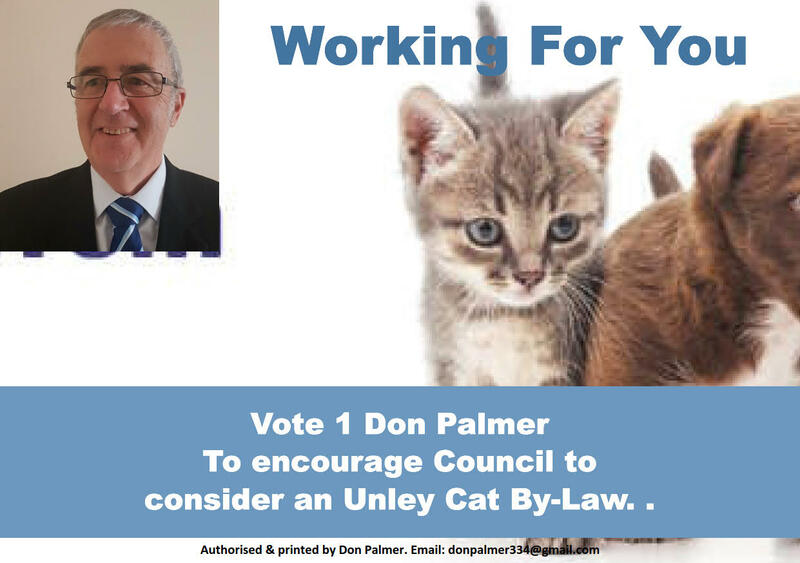 The City of Unley has not taken full advantage of their membership of the Local Government Association (LGA). Many other Councils likewise. 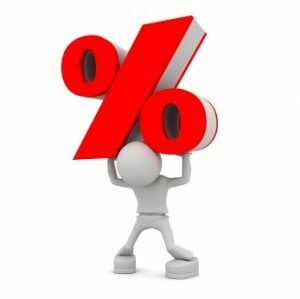 They all willingly take advantage of services such as the discounts available on Insurance or lower finance costs in taking out loans. Likewise, other services such as these are on offer and utilised. 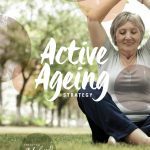 We all also gain a benefit from the significant research and advocacy that the LGA provides. Research and advocacy that Councils individually simply could not afford to do on their own. Councils who contribute to what to research or what advocacy to undertake are the ones who receive the greatest benefit. By this I mean the LGA will research what the Councils who take an interest ask them to research. 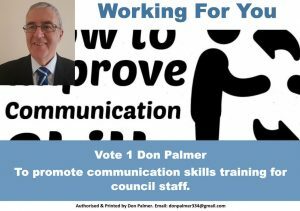 Likewise they will undertake advocacy roles asked of them by the majority of Councils. 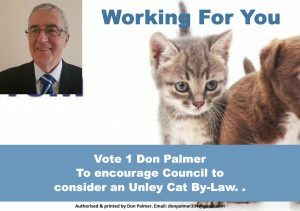 Unley has not recently contributed t this. Some Councils who also have been inactive here have complained they don’t get the service they should from the LGA. Murmurings similar to this have echoed from time to time in Unley. I have always been a firm believer that an association is only as good as its membership. Active members make for a strong association. Passive members don’t contribute and this is when a feeling of disassociation occurs. Not because of the executive however but because of the members themselves. 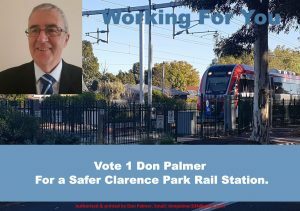 To avoid the City of Unley being caught up in this I have put my hand up to become our representative on the Greater Adelaide Region of Councils (GAROC) Committee. 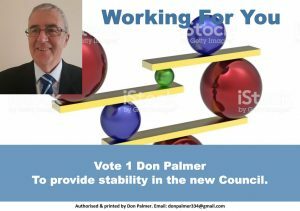 Council has endorsed my nomination. 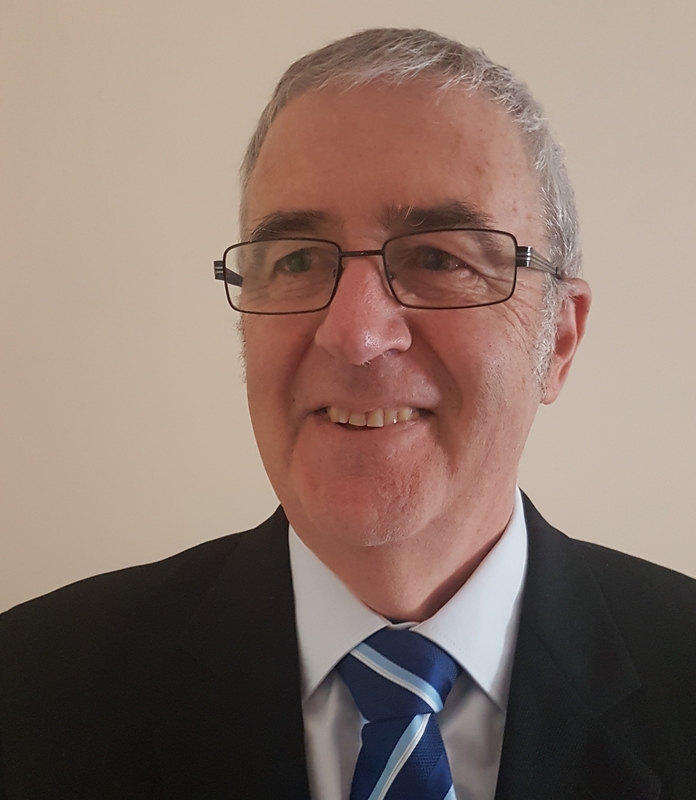 If elected to this board by the LGA members I need also to look for your endorsement as one of your two local councillors. If you elect someone else, no-one from Unley will be providing local leadership to the LGA.